Proven design, proven performance. 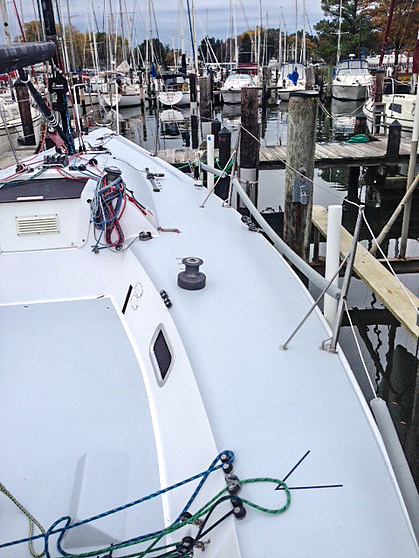 Farr 30 OD “Rhumb Punch” has had constant attention by her care taker. The deck has been completely upgraded. All the Balsa core in the deck has been removed and replaced with ultra high density foam. All trailer tires have ample tread left. Farr Yacht Design's goal in developing the Farr 30 (ex-Mumm 30) was to create a state-of-the-art offshore one design that would be fast and exciting, yet uncomplicated and economical. We set about the design of the Farr 30 with a 'clean sheet of paper' in that there are no rating rule driven compromises in performance. Our experience in Whitbread 60's and America's Cup boats gave us confidence that incredible light air speed does not necessarily require large overlapping jibs. 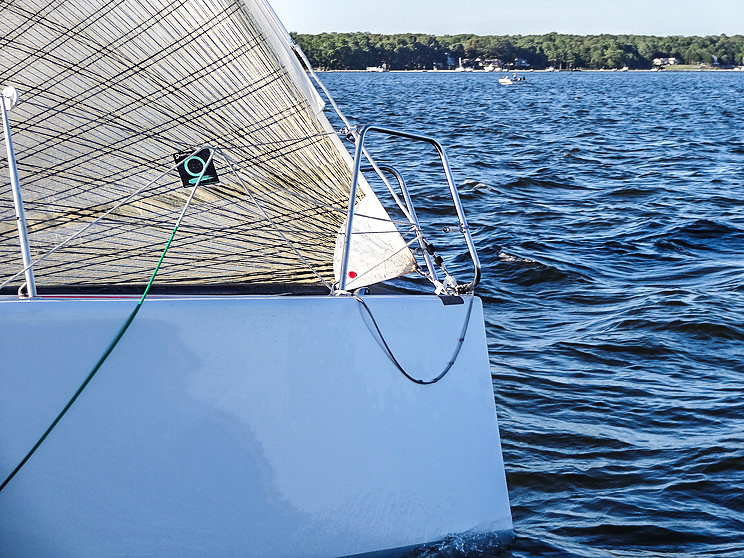 Fractional rigs are preferred over mast head rigs for upwind performance and easy handling, but with no arbitrary rule restrictions, masthead spinnakers will turbo-charge the boat downwind. 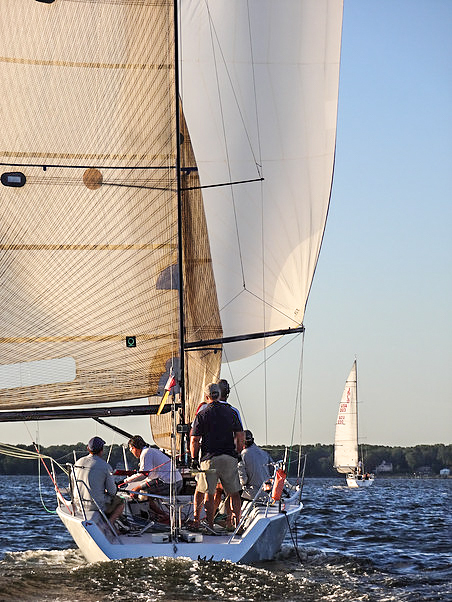 The symmetrical vs. asymmetrical spinnaker debate is a non-issue. 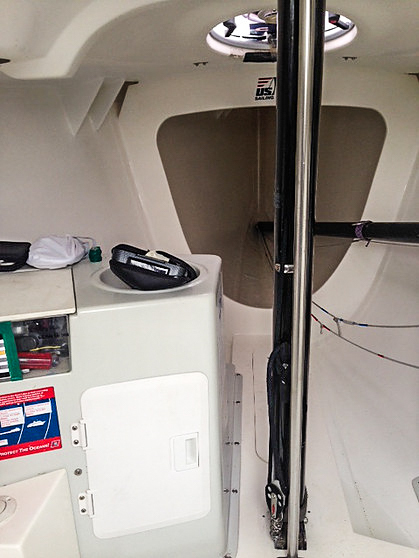 Each has its advantages and place, so we have allowed for both, making the Farr 30 today's most versatile downwind boat. During design conferences, we applied a simple test for complex issues, "Will this detail or feature make the boat more fun to sail?" Time and again, we found that the simplest solution was the best one. For example, there are no running backstays. The extra crewman needed for runners, and the chance of losing the rig if the runners aren't set up properly, are eliminated. 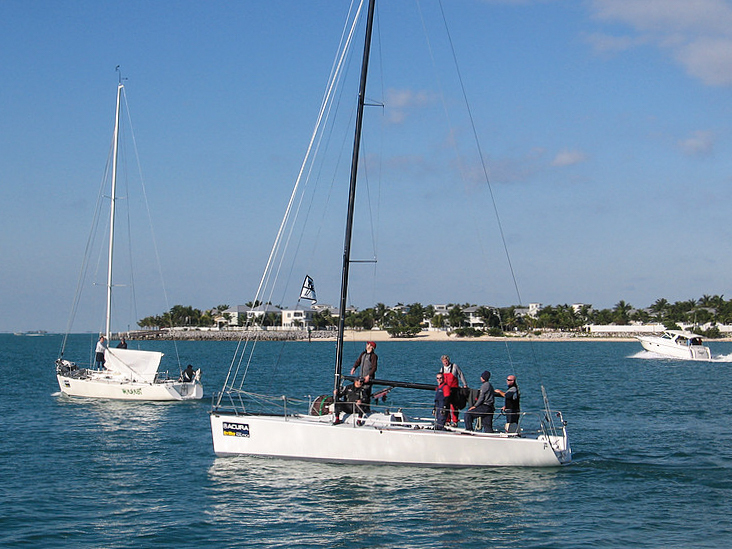 The boat has a very high righting moment because high stability means speed upwind and a boat that is easier to get in the groove. 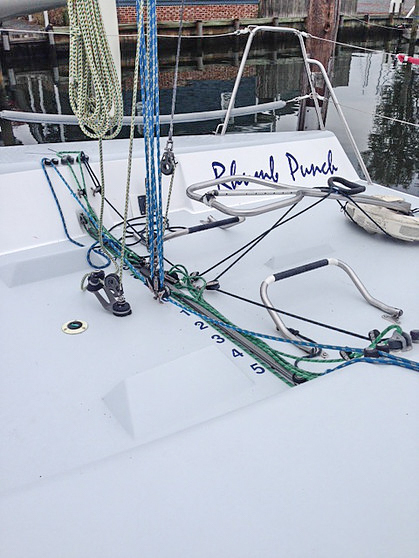 In order to achieve high stability with a minimum amount of weight and drag, we have developed a keel that is reminiscent of our Whitbread 60 designs. A large lead bulb is supported by a cast steel fin which produces a reliable, durable structure with maximum righting moment. High stability also means less need for a lot of people on the rail. 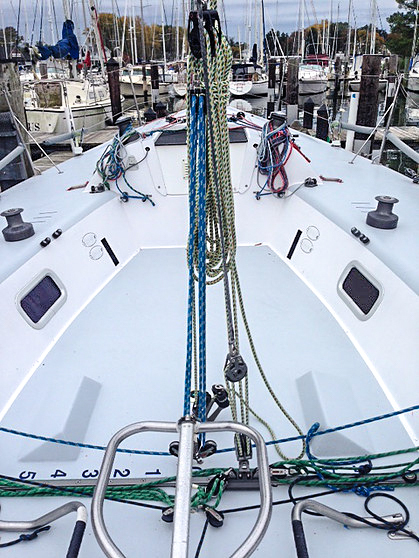 The non-overlaping headsails mean that the winches are tiny, and dexterity takes precedence over power: smaller crew, and smaller sail budgets! 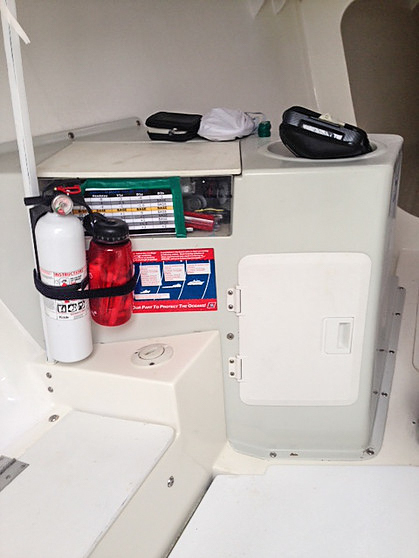 The rig is simple to use, but it is state-of-the-art carbon fiber laminate, tested and refined to suit the boat perfectly. 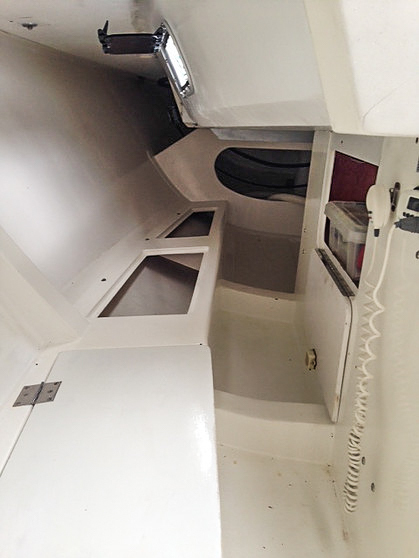 The hull is carefully built of vacuum bagged wet pre-preg epoxy and post cured in an oven with the same materials and processes so well developed in the MUMM 36. 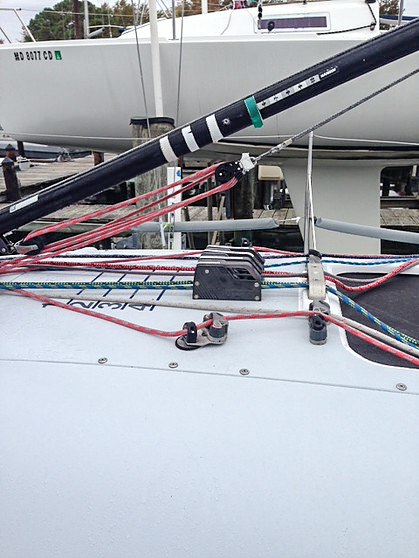 The rudder stock is autoclaved carbon fiber: strong, light, and virtually maintenance free. Complex technology is employed intelligently to yield simplicity. 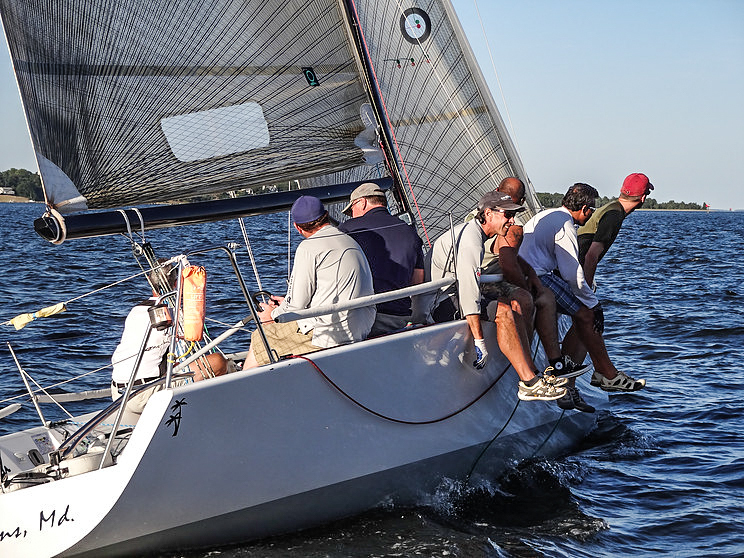 The Farr 30 has amazed competitors on the race course with its speed in all conditions, but the real test is when sailors actually take the helm. 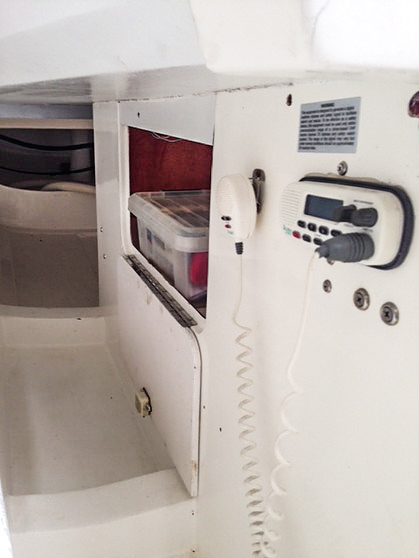 The boat has a large rudder which provides balance and superb control both upwind and down. It accelerates like a dinghy, but feels like a big boat going upwind in a breeze. 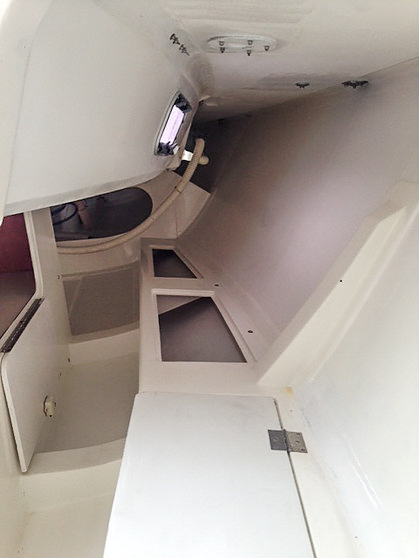 The cockpit is a marvel of comfort and efficiency from innovative folding footracks, to the internal sail controls. Everything is easily at hand, functional and smooth. 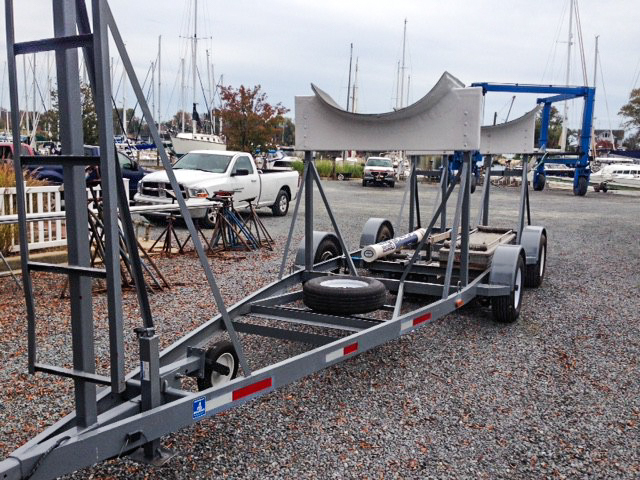 This sailing machine will be easy for less experienced crews to handle, and will never stop rewarding the most experienced sailor. Have Fun!